Does your child love to create stories? This pocket-sized gift is great for long car rides or airplane travel. It will keep your imaginative child occupied for hours without any of the electronic beeps and boops that make you crazy. They can play by themselves, with friends or with you. A simple roll of the dice starts it off. From there, imagination takes over to create a story using the pictures revealed. For your science-loving kiddo, this kit makes a great surprise under the tree. There are multiple crystals included, so they can practice sharing too. Simply follow the directions and watch the crystals grow. Add to the fun with a black light to see the colors change. I always wanted one of these as a kid – maybe I’ll put it on my list for Santa this year! Bike riding has never been this fun! Whether your kid already loves bikes or is struggling with the physical challenges involved in riding a bike, this cool attachment makes bike riding exciting. Your kids will love the designs they can make with the chalk while riding – and they’ll be getting exercise too. Get enough for the family and make chalk bike drawing an event you can all enjoy. I used to love these when I was a kid! How about you? It’s a great opportunity to walk in nature, find some unique shapes and see what designs they make. Press the items collected between the acrylic sheet and the photo-sensitive paper. Leave it in the sun and watch the magic happen. Does your kid pull apart the couch cushions and linen closet to create a play fort? With this cool gift, you can build a fort with them while keeping your house intact for grown-up use. It glows in the dark too! Great for living room sleepover parties, quiet coloring space or nap time. Engage your child’s imagination and create whole worlds inside the crazy fort for hours of play. 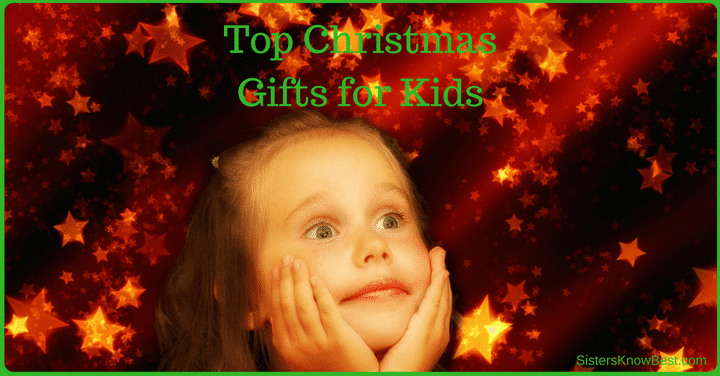 In an age when electronic gifts are purchased, used briefly and quickly discarded and forgotten for the next big fad, these fun gifts will be loved and used for years. Best of all, they’re a great way to connect with your child in play. What gift are you most excited to give this year?